How to add ranking questions to my survey? 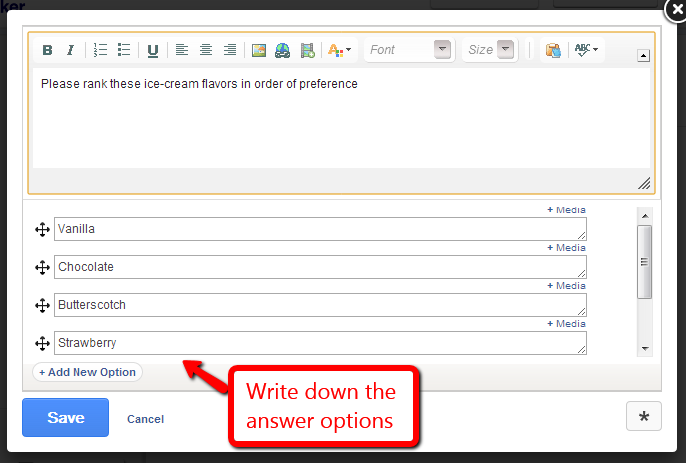 With ProProfs Survey Maker ranking question types you can obtain actionable data, which presents a clear picture of customer preferences. This helps you engage customers better and grow your business. Step 1. 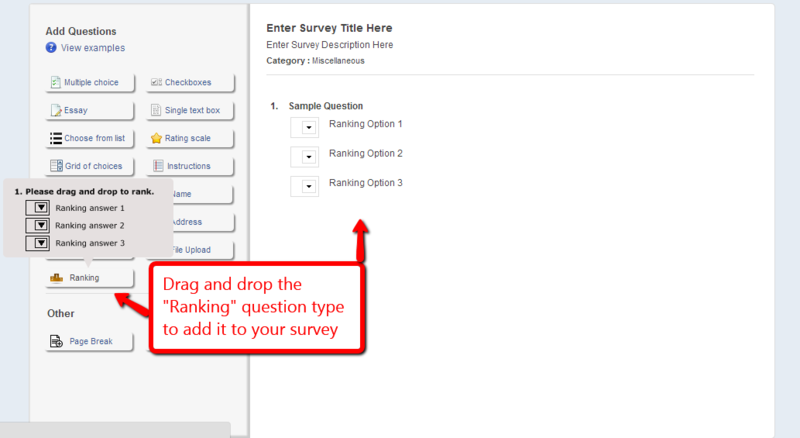 On the survey creation page, drag and drop the "Ranking" question type to your survey. Step 2. Write down the answer options. Step 3. Save your survey by clicking on "Done".